Vortex Optics Diamondback 10x42 Roof Prism Binoculars (DB-205) NEW! 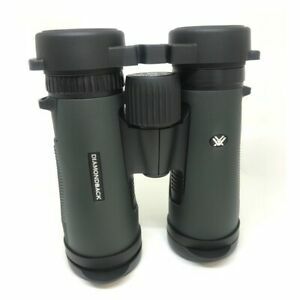 Details about Vortex Optics Diamondback 8x42 Roof Prism Binoculars (DB-204) NEW! Vortex Optics Diamondback 8x42 Roof Prism Binoculars (DB-204) NEW! Vortex® Diamondback Spotting Scope - Straight or Angled - FREE SHIPPING!!! Enjoy more on your hiking trips with these Diamondback binoculars. The binoculars have multi-coated lenses and roof prisms that improve transmission, brightness, and clarity. The 8x-magnification lens offers clear viewing. They also offer 42 millimeter objectives to view full images of the target with a 7.5-degree angle view. It has an aluminum housing that is sealed with o-rings, making it resistant to water and fog. GREAT ! for backpacking & hiking....light and convenient to carry.... use it for ALL my outdoor activities ! Light weight, small, and rugged also powerful enough for ALL activities. Great buy! very solid, image very bright and crisp. Field of view slightly smaller than I expected. 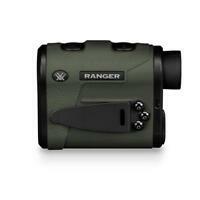 I would highly recommend the vortex diamondback binos!! !